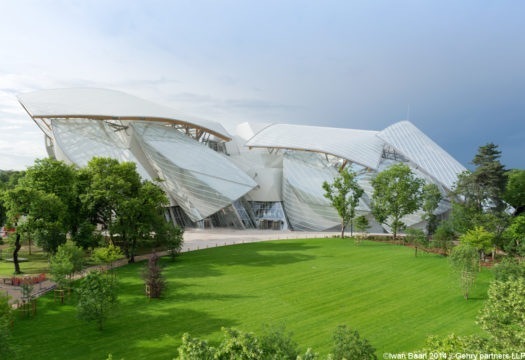 In Paris, at the end of 2014, Fondation Louis Vuitton opened a new headquarters, between the Jardin d’Acclimatation and the Bois de Boulogne: a building for art created by the Canadian architect Frank Gehry. 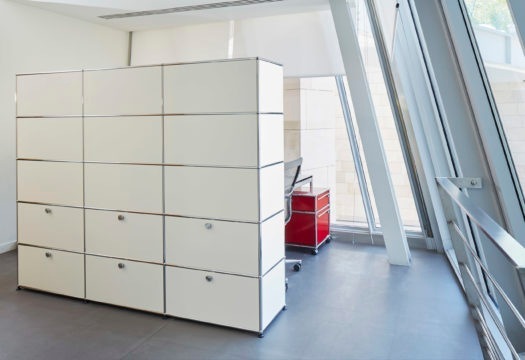 The choice of USM furnishing systems for the offices of the facility happened in a very natural way. 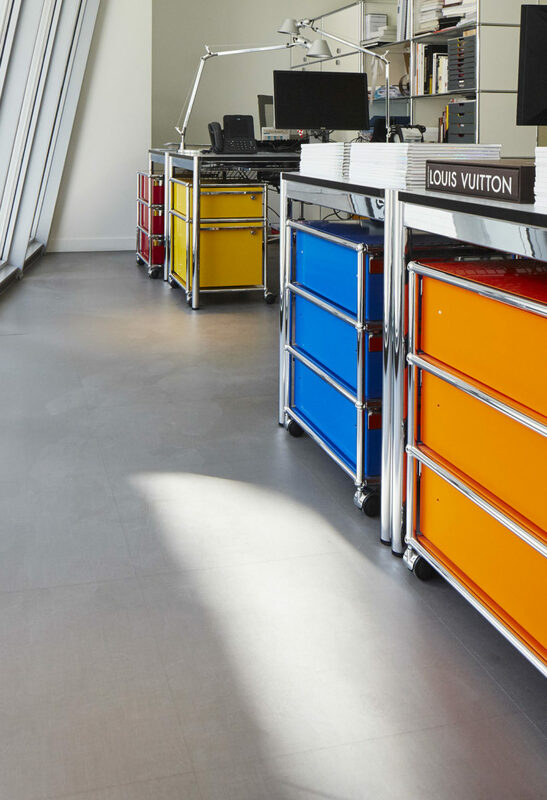 The items had to match the high standards of quality of a maker of luxury goods like per Louis Vuitton, but they also had to be flexible and adaptable, given the unusual form of the offices generated by the innovative shaping of the building itself. 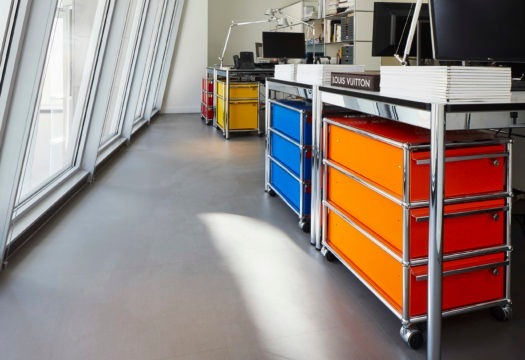 The furnishing systems by USM Haller in pure white complete the office without reducing its spaces, while individual work areas feature furnishings in different colors: the USM Haller desks have cabinets on wheels in golden yellow, ruby red, gentian blue and pure orange. 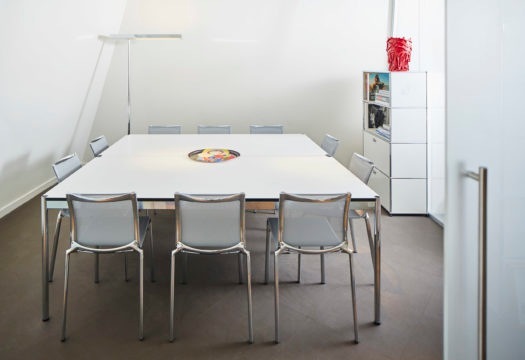 The meeting rooms and private offices feature tables by USM Haller.